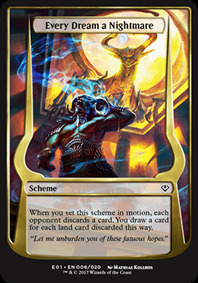 When you set this scheme in motion, add UBR. 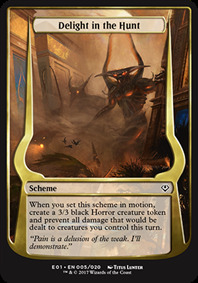 When you set this scheme in motion, create a 3/3 black Horror creature token and prevent all damage that would be dealt to creatures you control this turn. 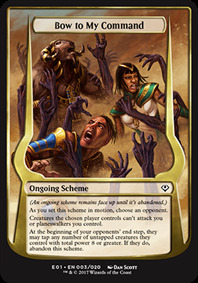 When you set this scheme in motion, each opponent discards a card. 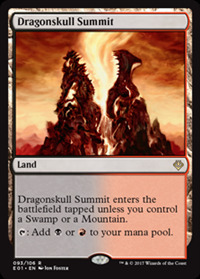 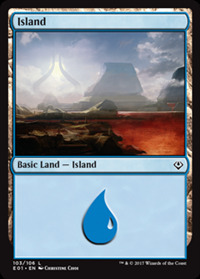 You draw a card for each land card discarded this way. 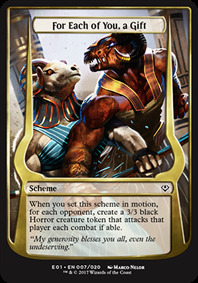 When you set this scheme in motion, for each opponent, create a 3/3 black Horror creature token that attacks that player each combat if able. 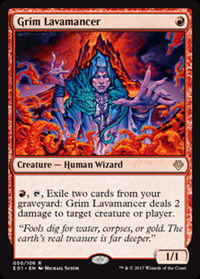 R, T, Exile two cards from your graveyard: Grim Lavamancer deals 2 damage to any target. 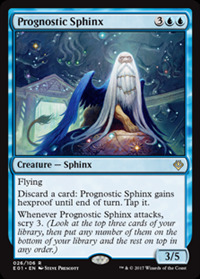 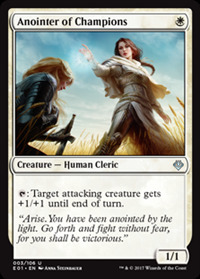 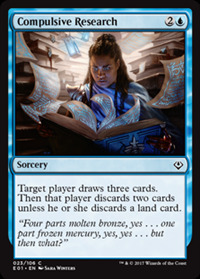 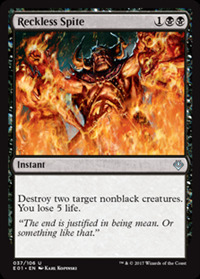 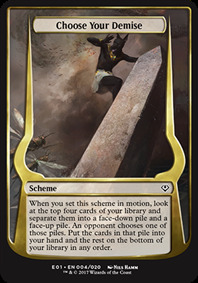 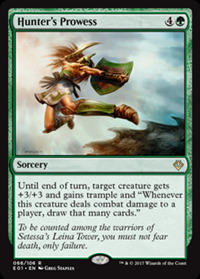 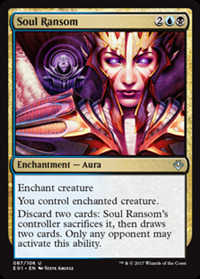 When you set this scheme in motion, until your next turn, up to one target opponent can't attack with creatures, up to one target opponent can't cast creature spells, and up to one target opponent can't cast noncreature spells. 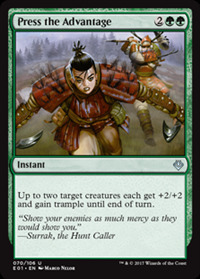 You can't choose any player as a target more than once. 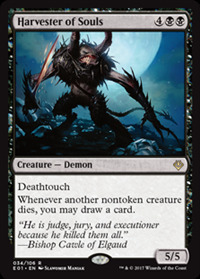 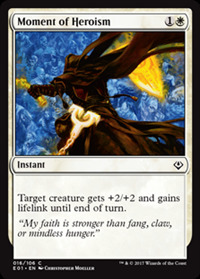 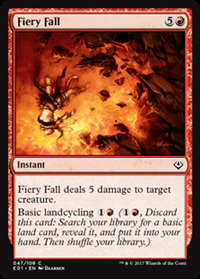 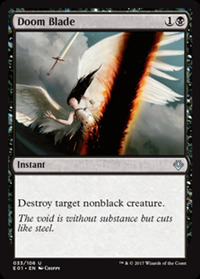 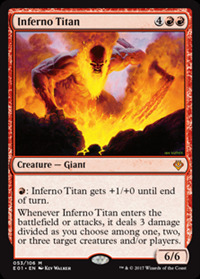 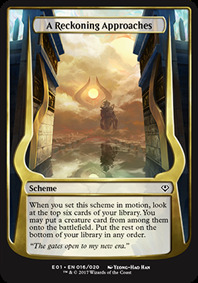 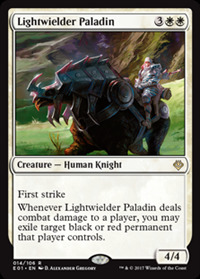 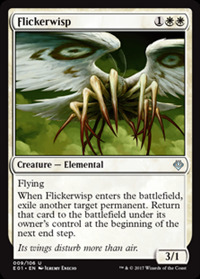 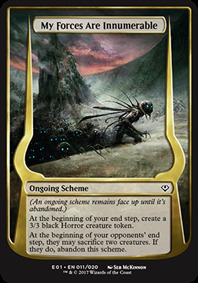 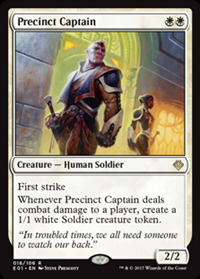 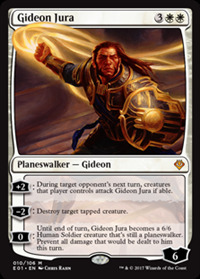 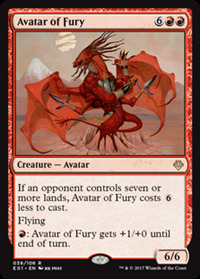 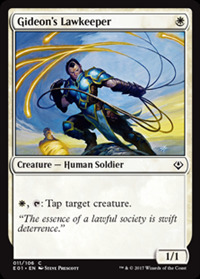 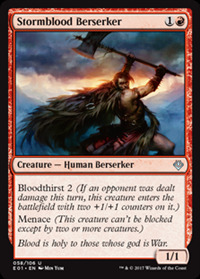 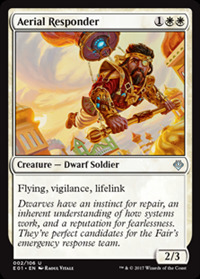 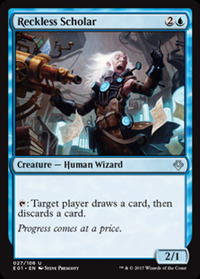 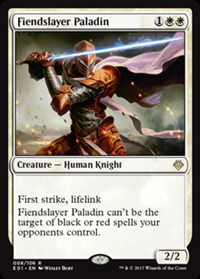 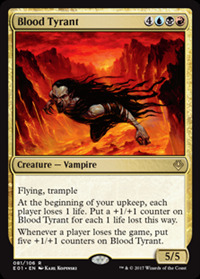 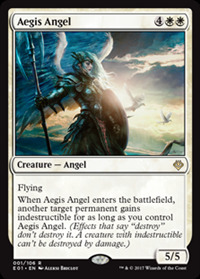 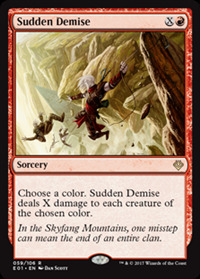 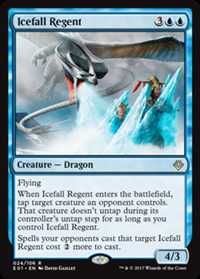 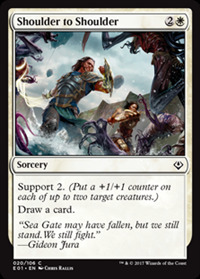 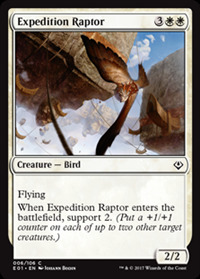 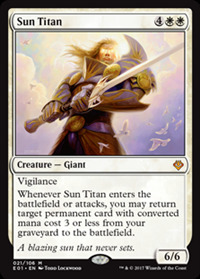 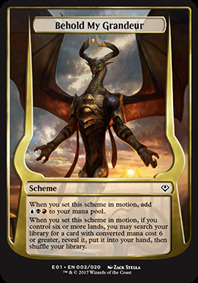 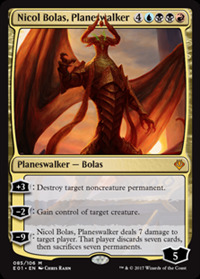 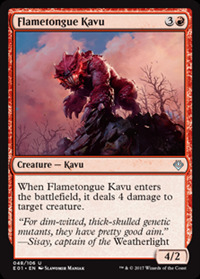 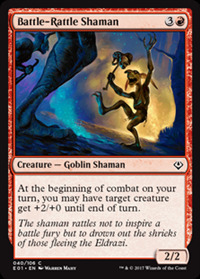 When you set this scheme in motion, destroy target creature an opponent controls. 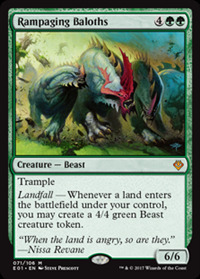 If a creature is destroyed this way, you gain life equal to its toughness. 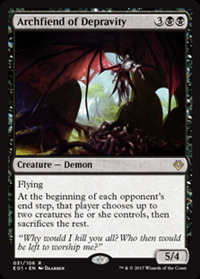 At the beginning of your end step, create a 3/3 black Horror creature token. 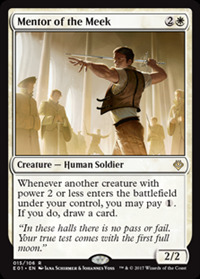 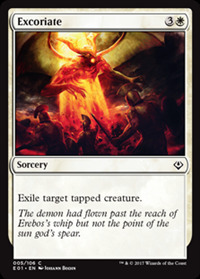 At the beginning of your opponents' end step, they may sacrifice two creatures. 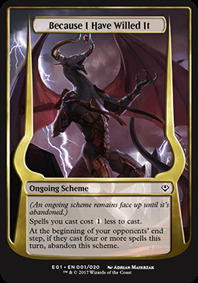 If they do, abandon this scheme. 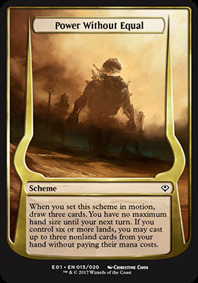 Whenever you set a non-ongoing scheme in motion, you may abandon this scheme. 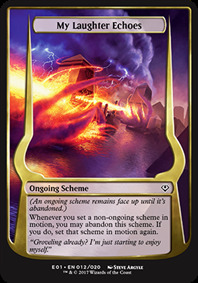 If you do, set that scheme in motion again. 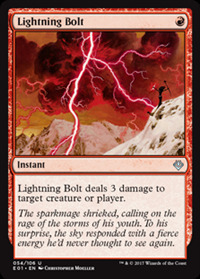 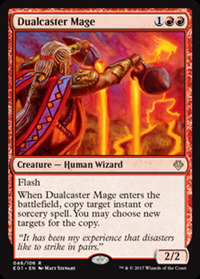 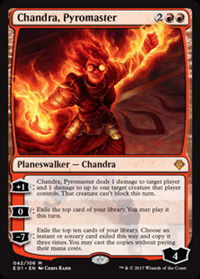 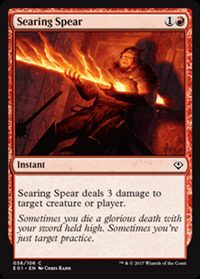 Blue spells and red spells you cast cost 1 less to cast. 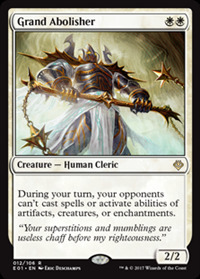 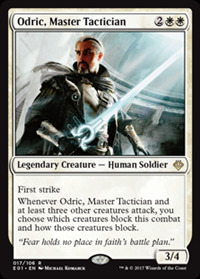 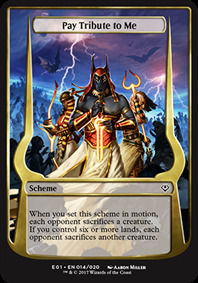 When you set this scheme in motion, each opponent chooses a creature they control, then sacrifices the rest. 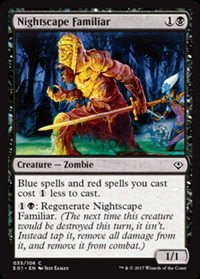 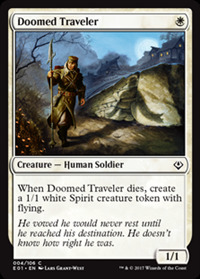 Whenever a nontoken creature an opponent controls dies, create a tapped 2/2 black Zombie creature token. 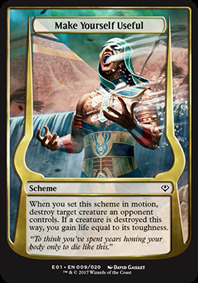 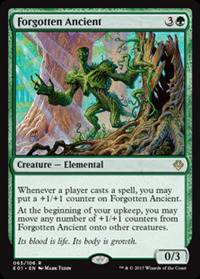 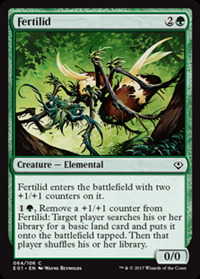 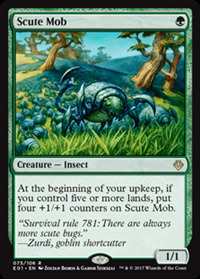 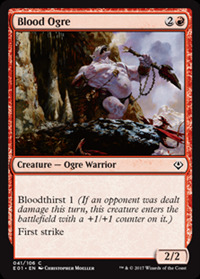 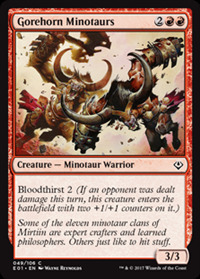 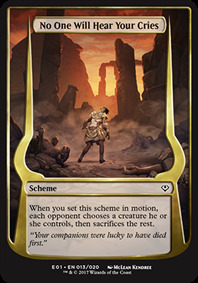 When you set this scheme in motion, each opponent sacrifices a creature. 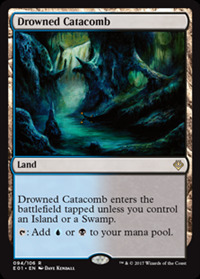 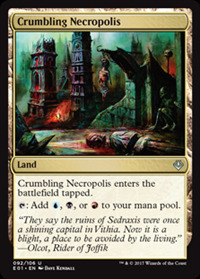 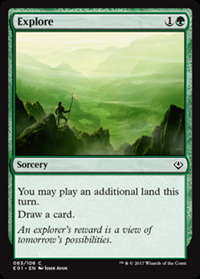 If you control six or more lands, each opponent sacrifices another creature. 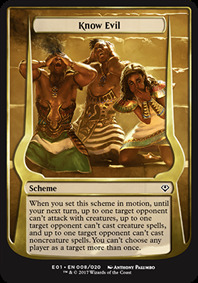 When you set this scheme in motion, draw three cards. 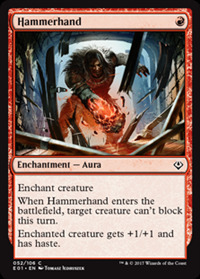 You have no maximum hand size until your next turn. 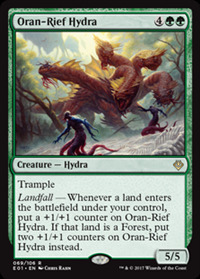 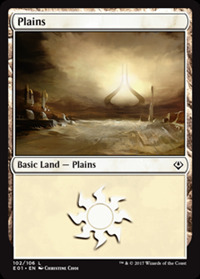 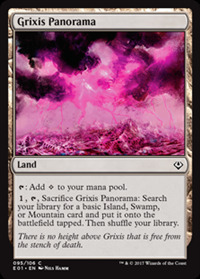 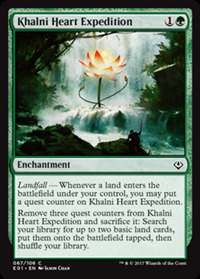 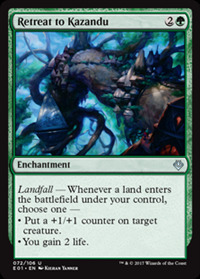 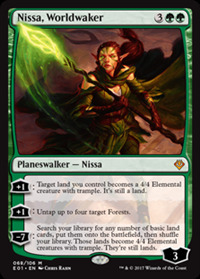 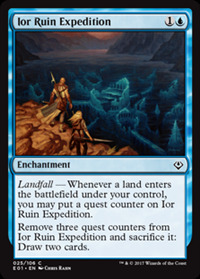 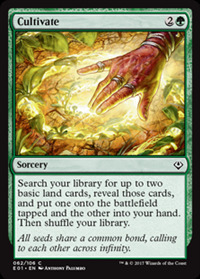 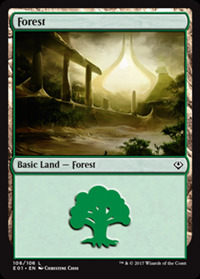 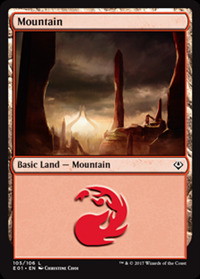 If you control six or more lands, you may cast up to three nonland cards from your hand without paying their mana costs. 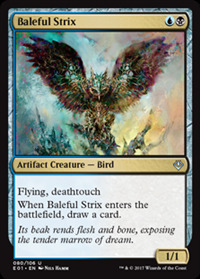 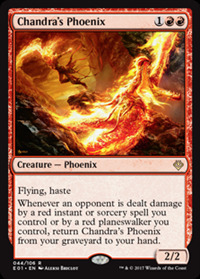 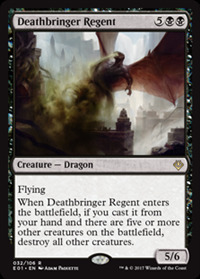 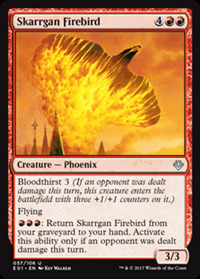 RRR: Return Skarrgan Firebird from your graveyard to your hand. 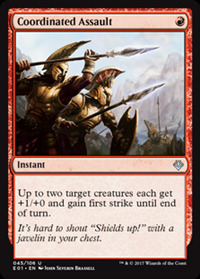 Activate this ability only if an opponent was dealt damage this turn. 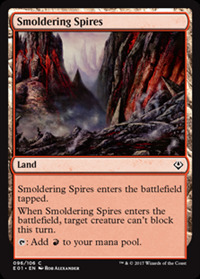 Smoldering Spires enters the battlefield tapped. 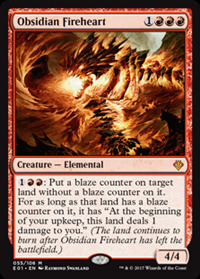 When Smoldering Spires enters the battlefield, target creature can't block this turn.